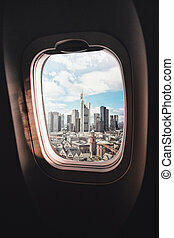 Airplane window berlin. 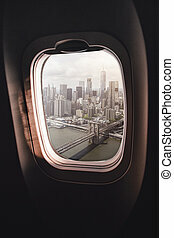 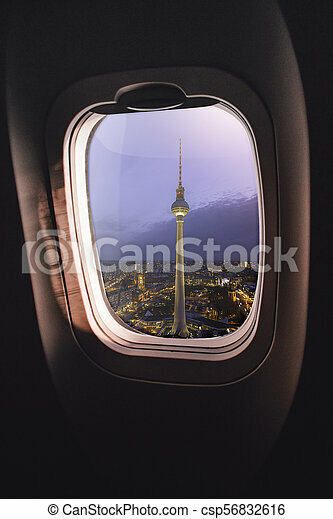 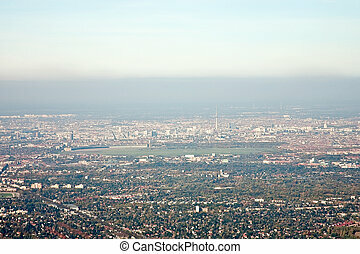 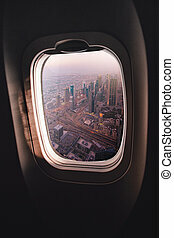 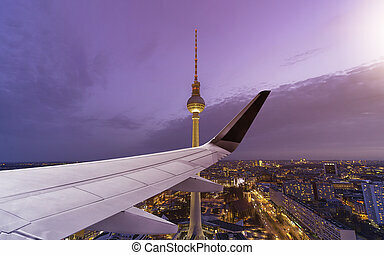 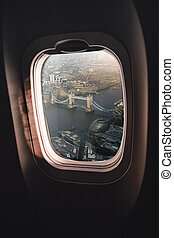 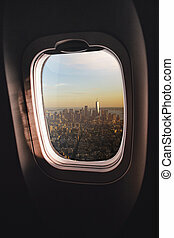 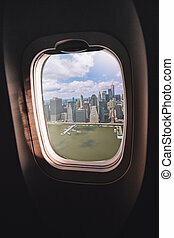 Aerial view of berlin, germany, seen through an airplane window. 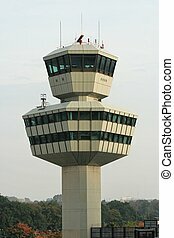 Airplane dispatching on the airport Berlin Tegel in Germany. 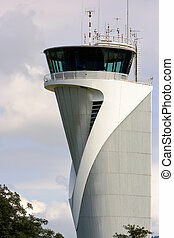 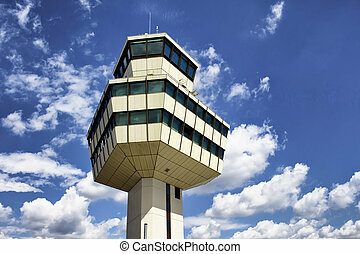 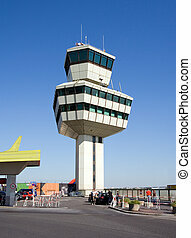 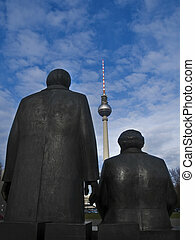 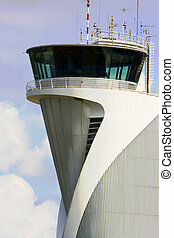 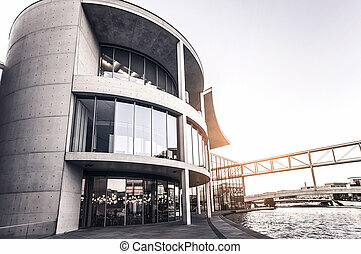 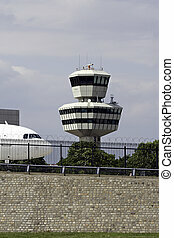 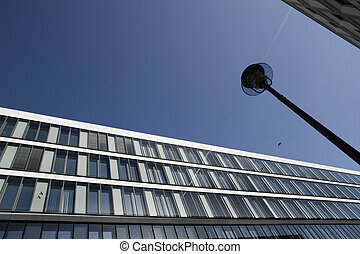 Control tower airport Berlin Tegel in Germany. 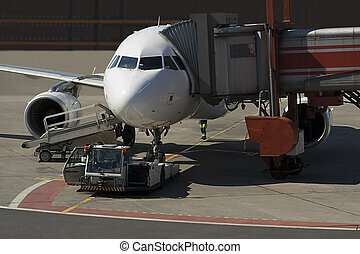 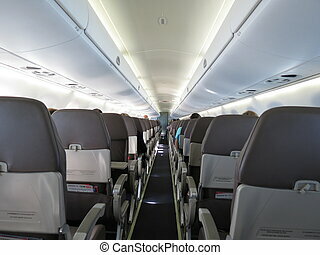 Past rolling airplane on the way to the runway.